Tonight I kegged my Lab Bench Pale Ale, after 13 days in the primary fermenter. The yeast had dropped out pretty nicely, leaving a golden beer with a smooth bitterness and a crisp, slightly malty aroma. The gravity was 1.010, down from 1.047, which equals 4.8% abv and ~78% apparent attenuation. I got around 4.75 gallons of beer. Before sealing up the keg, I added 2 oz. of Cascade hops in pellet form (7.5% alpha, 5.5% beta). In about 5 days, I’ll start carbonating (leaving the hops in place); the goal is to have this ready to go on Easter! 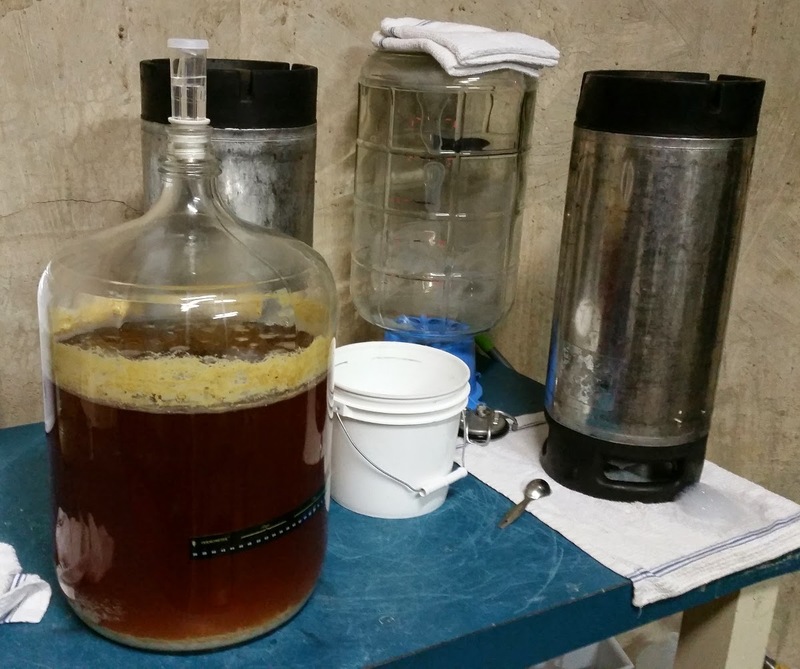 This entry was posted in kegging and tagged Lab Bench Pale Ale, LBPA. Bookmark the permalink.